Rick Hayes has a 33-year career with the Putnam Police Department and served his last 12 years as Putnam Chief of Police. Rick has a long history of service to his community, currently sitting on the Putnam Board of Selectmen, was appointed to the charter revision committee, and served as a board member of the Putnam WPCA. He gave 10 years of service to the Putnam Fire Department, and 12 years of service to Putnam EMS. Rick Hayes was elected President of the Connecticut Police Chiefs Association in 2015.- and served 10 years on their board of directors. He also served on the Board of Directors for Law Enforcement Council of Eastern Connecticut, Police Association of Connecticut, and New England Police Chief’s Association where he served as chairman of the community policing committee. He was also appointed to the Community Policing Committee of the International Association of police Chiefs. During his career he spent 8 years in the Putnam School System as a certified DARE instructor. He was a founding member of the first regional multi-disciplinary investigation team for child abuse and is founding member of Wendy’s Place, the first regional child abuse center. He was recognized for his dedication to the investigation and prosecution of child abuse by the American Prosecutors Research Institute in 2003. Rick has served on the Board of Directors for, The ARC of Quinebaug Valley, Woman’s Center of Northeast Connecticut, and United Services. He is a proud member of the NRA, CCDL, and the Putnam Elks. 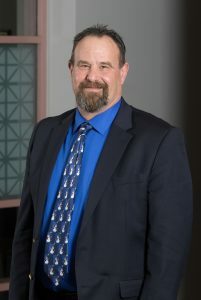 Rick is a lifelong resident of northeast Connecticut and graduated from Putnam High School in 1977. He and his wife Kathy have four children and seven grandchildren.